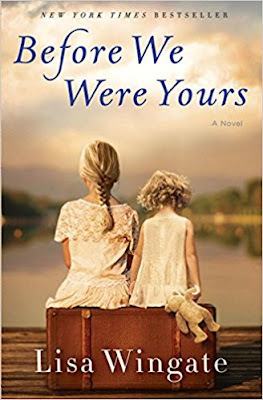 Before We Were Yours is a heart wrenching story based on a real life scandal. 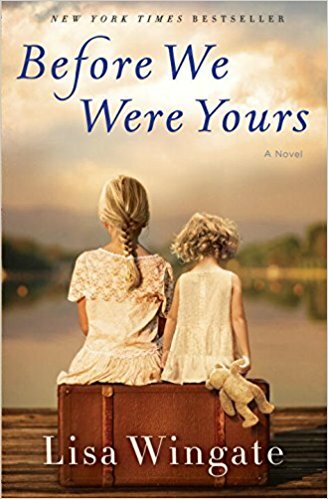 The author, Lisa Wingate takes us back and forth from the tragic abduction of the Foss children in 1939 and their horrific treatment at the hands of Georgia Tann, director of the Tennessee Children's Home Society in Memphis, Tennessee, to the present day life of Avery Stafford, a successful federal prosecutor being groomed to take over her father's political position. From a chance meeting with May Crandall at a nursing home, hints of a connection to Avery's grandmother begin to surface. As the story unfolds, and Avery discover's her grandmother's secrets, Avery also discovers a few things about herself in the process. Although there were times when I cringed and my eyes filled with tears, there were also times when I felt the warm fuzzy's. Lisa Wingate created vivid characters who told the story of a real life tragedy. I thoroughly enjoyed this book and would heartily recommend it. Be sure to read all the way to the end, including the author's notes. IN THE WRITER'S OWN WORDS: A special first grade teacher, Mrs. Krackhardt, made a writer out of me. That may sound unlikely, but it's true. It's possible to find a calling when you're still in pigtails and Mary Jane shoes, and to know it's your calling. I was halfway through the first grade when I landed in Mrs. Krackhardt's classroom. I was fairly convinced there wasn't anything all that special about me... and then, Mrs. Krackhardt stood over my desk and read a story I was writing. She said things like, "This is a great story! I wonder what happens next?" It isn't every day a shy new kid gets that kind of attention. I rushed to finish the story, and when I wrote the last word, the teacher took the pages, straightened them on the desk, looked at me over the top, and said, "You are a wonderful writer!" A dream was born. Over the years, other dreams bloomed and died tragic, untimely deaths. I planned to become an Olympic gymnast or win the National Finals Rodeo, but there was this matter of back flips on the balance beam and these parents who stubbornly refused to buy me a pony. Yet the writer dream remained. I always believed I could do it because... well... my first grade teacher told me so, and first grade teachers don't lie. So, that is my story, and if you are a teacher, or know a teacher, or ever loved a special teacher, I salute you from afar and wish you days be filled with stories worth telling and stories worth reading.